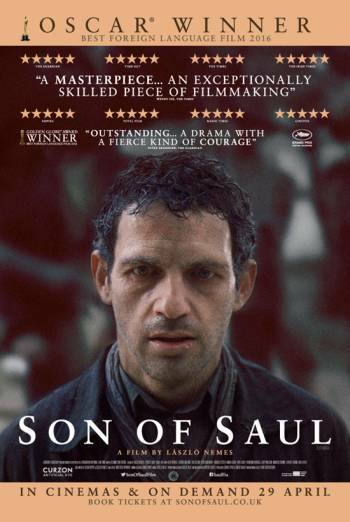 SON OF SAUL is a Hungarian drama about a man who is forced to work disposing of bodies from gas chambers at Auschwitz, who finds the body of a boy who he believes to be his own son. Victims are forced into gas chambers, followed by sight of their naked bodies being cleared away. Victims are subjected to violence by Nazi guards and there are riots, including one in which a man is shot. While the scenes contain limited visual detail, the tone is harrowing.